If you are looking for a quick retro look without having to use a curling iron, here is an easy do that I call the "Swirl Bangs." 1. Section off the font of your hair and put the rest in a ponytail. 2. Take that section, pull it straight up and give it a little tease. 3. 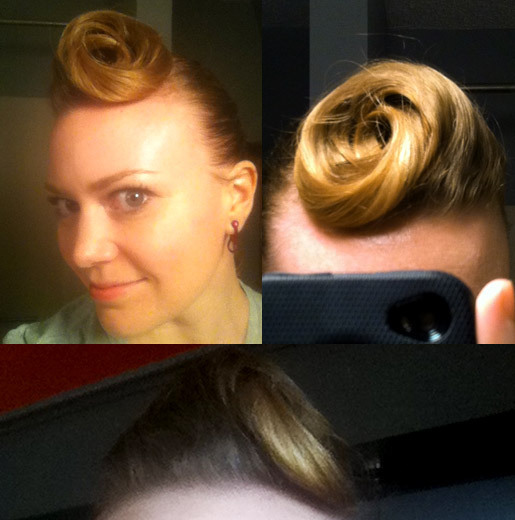 Start at the tip and make a pin curl. 4. 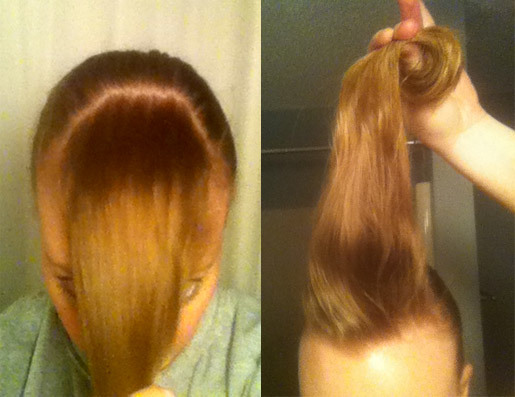 Roll it down toward your head and secure with a few bobby pins. 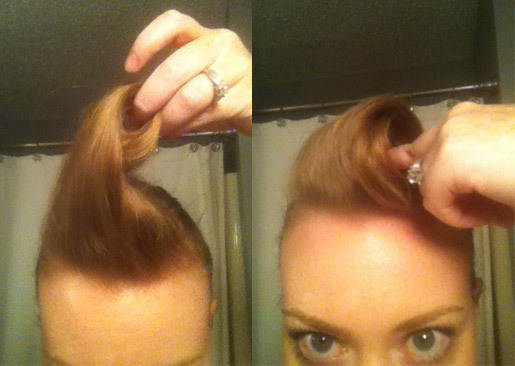 The final result is a large swirl that stands up like a little pompadour. Don't forget to spray the hell out of it with hairspray.